I hired Ron at Acorn ( again)! Great work, timely and got it right. What more can we ask for. Always a pleasure guys, thanks again! Here’s a picture of the living / dining room after a new set of stairs, redoing the inlays and sanding it. 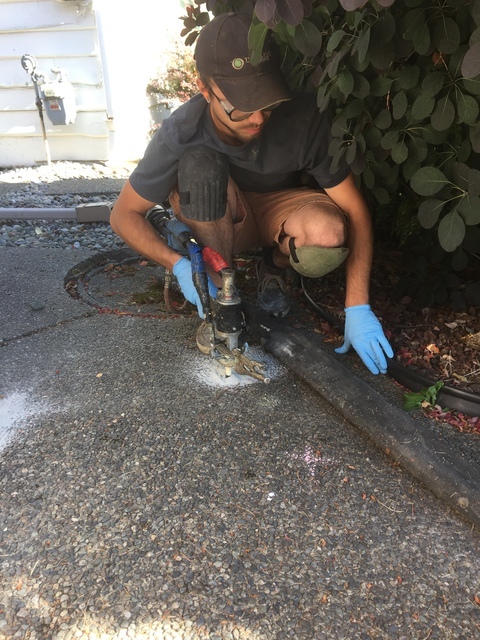 We hired Titan to extend a sprinkler system for a office expansion in Burnaby. They were there when promised, precise in their install, knew exactly what they were doing. Job was exactly as it should be. Passed inspection perfect. 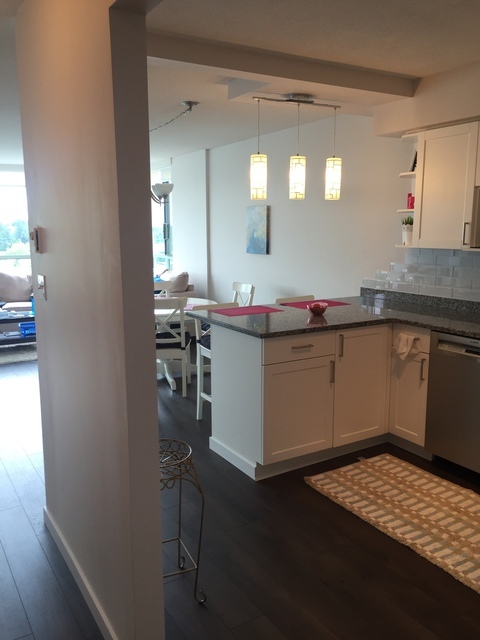 We were contracted to replace an aged kitchen on a concrete highrise. Chaka from Eurorite was selected out of 3 choices. We went eith a white shaker style, and a trsfitional granite countertop. We chose to receive a flat pack set, which assembled easily. The kitchen came together well, and is a economy solution that the customer loves. I would recommend Eurorite cabinets as a first rate manufacturer and supplier of entry and mid-level cabinets. 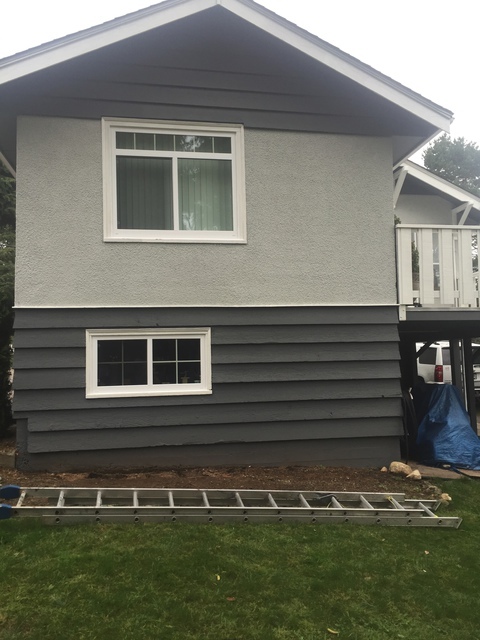 I hired Silverline to pull out the old windows on a 1920's home. It had 3 kinds of old windows. The quoting process, the measuring on the site went well. 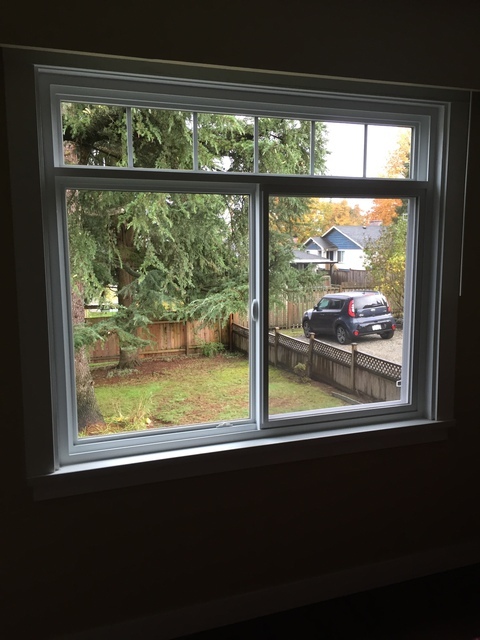 The windows arrived as promised, and they were perfect! Installation was rspecially challenging, but Josh, Rick, Clint and crew did a stellar job. I have been contracting reno jobs for decades, and these guys are excellent. Highly recommended. Thanks for the great review Eric! We appreciate your business, and look forward to assisting you with any future projects. I have hired Novawest countless times for residential renovations. Their staff is always couteous and prompt. They know exactly what they're doing, good quality installations. Ray is always kind and assists me to coordinate a great result. I have worked with Cabinets RUs for several years. For this project they designed and delivered a Merit white kitchen to my client site for me to install. I have always found them to be exceedingly helpful and kind, quick to assist in choices, layout information, tips etc and they are great to deal with. Definitely recommended as a DIY solution warehouse, where choices are good, instock product is available. 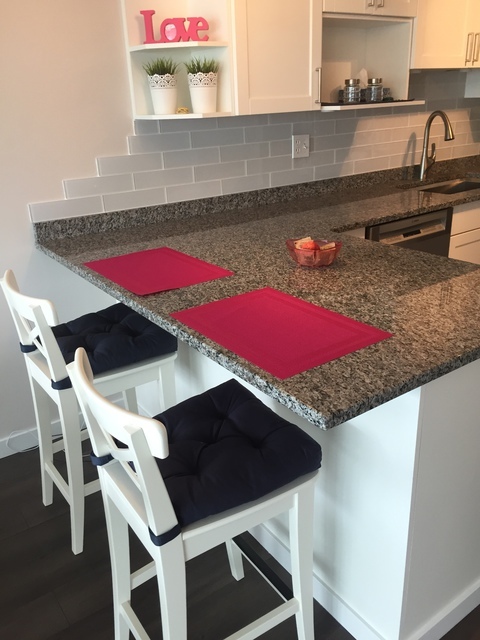 I hired Mikes' to supply & install laminate on a condo upgrade to sell project. The installer didnt bother to knock off a high spot, so the floor rocked. Plus 3 of the 4 rooms were splattered with leveling cement all over the walls. I even found brad nails embedded in the walls 6 feet high. Mike was initially interested in responding, but after I complained, he refused to answer my calls or return ANY messages. While this was clearly a bad installer, Mikes wouldn't rectify this at all. I won't be dealing with them again. We apologise for any inconvenience. We were unaware of the situation. Please let me know what the invoice number is so we can take a look at the job. We will fix any issues that you have. We replied to this review to contact us. No one has contacted us or replied back to us. We assume that this is spam or someone trying to ruin our company . We do not know who this is. 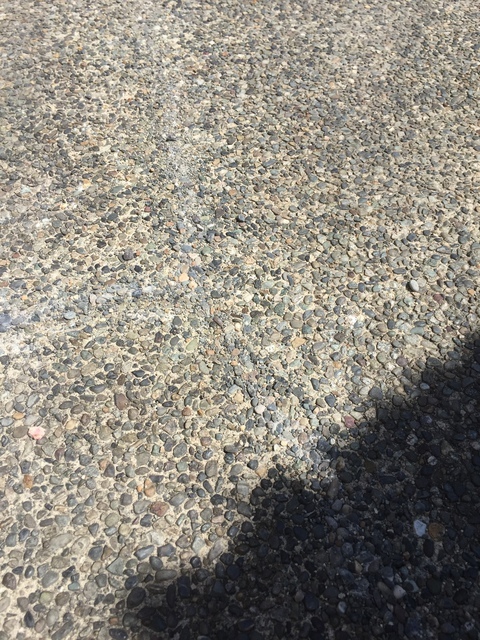 I hired Cal of True Level to repair huge cracks in my client's aggragate driveway, and relevel the sunken slabs. They pumped in high pressure foam and raised everything perfectly. Plus they filled the cracks and put in aggregate bits of stone which nicely blended it together. Staff was pleasant, efficient, and we also got a warranty. Nice work guys! Huge selection, a busy and well orchestrated enterprise. Probably the best choices of anywhere. Come with your sqft area and number of stairs if you have any. note that in many cases you will need a hefty vehicle if your choice adds up to alot of weight. They have underlayments too. I chose Lucas from Level Masters to assist me in leveling a 6" sloped basement space. Their team brought in pallets of material and mixed it onsite, creating a smooth and beautifully level surface. 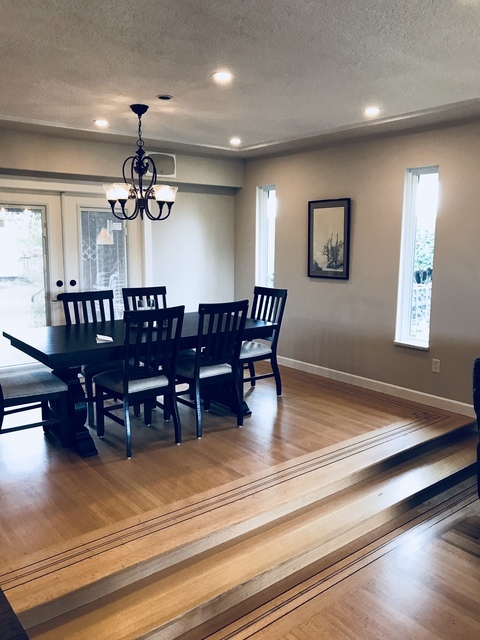 This was not a typical floor leveling job, this was way above and beyond what a normal leveling job would entail, so I am especially grateful for the quality work Lucas and his crew were able to obtain. I will definitely be recommending Level Master in the future. Thanks again! Hi Eric, thank you for the great review. 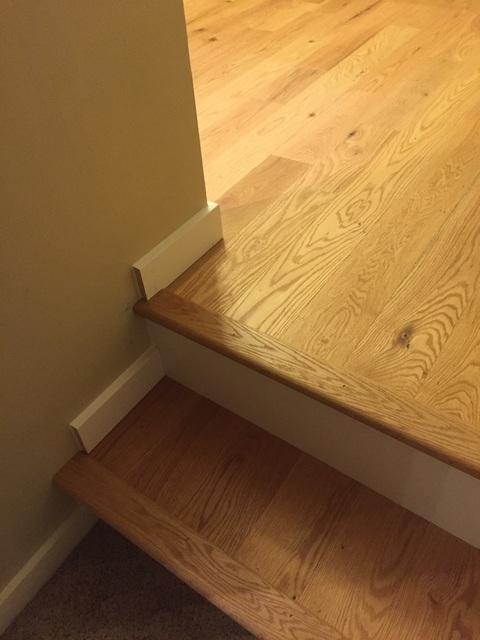 Yes your floor was very out of level. We came up with a plan and executed it perfectly to create a perfectly flat & level surface for you with a lifetime warranty. Recommendations for our services is such a huge part of our success and greatly appreciate your willingness to refer us. Thank you again. 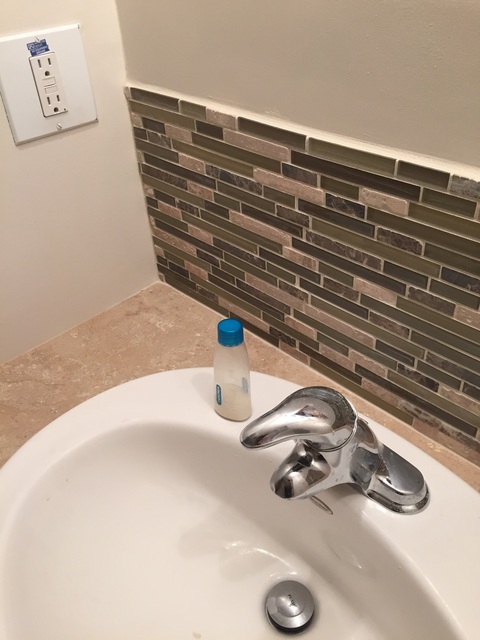 I have a home renovation company and we have used High Mark for alot of our plumbin work. They’re expensive but they always do a really good job. They’re very professional and always show up in uniforms and well marked vehicles. Definitely an upper end plumbing firm. 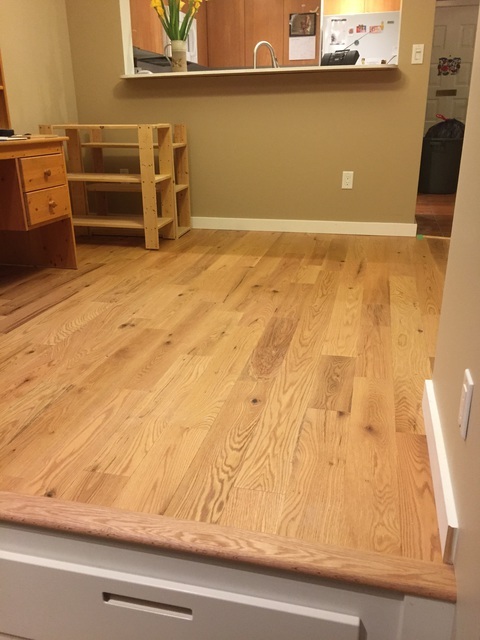 Allure is available thru HD and other flooring places, as a DiY vinyl plank product. In many cases it is beautiful, and lasts. Caution however! 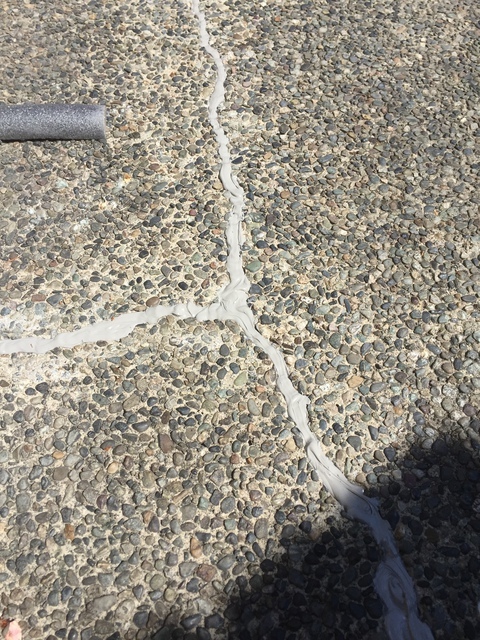 Do not install over concrete, as the product shinks in the cold, leaving 1/16" gaps. Plus, for high humidity environments it could allow mold to grow underneath. Check with Allure support, as they tend to respond by saying it is not an appropriate product for your environment.